Don’t think of the Shangri-La Bangkok as just a hotel. 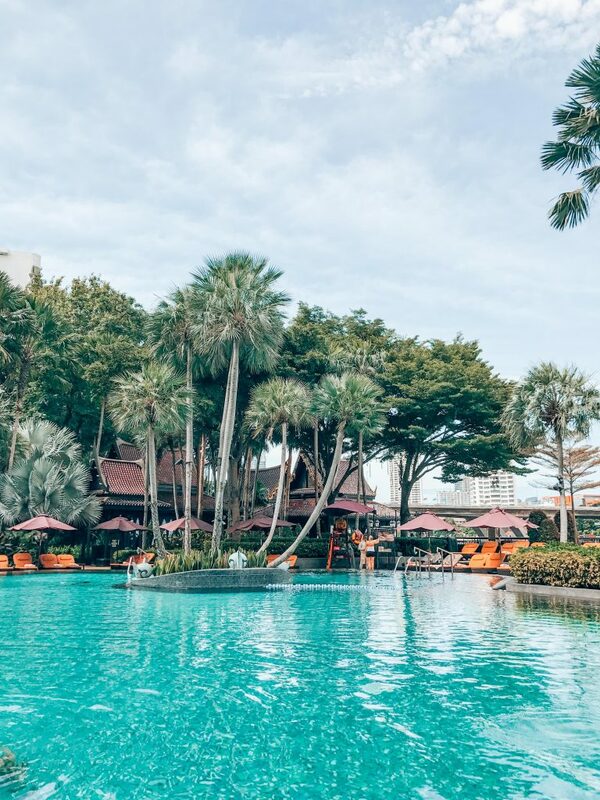 Think of it more as a resort located along the breathtaking Chao Phraya River that is a gateway to some of the most fascinating things Bangkok has to offer. Seriously, you cant even begin to understand the magical views at night. Steps away from BTS and riverboats, the Shangri-La Bangkok offers not only easy access to anywhere in the city, but all the luxury pampering right at your fingertips. 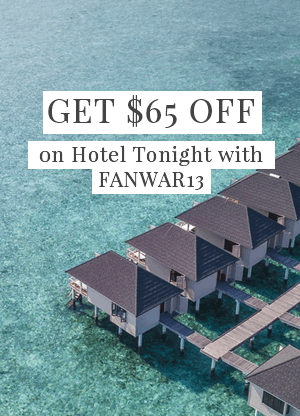 After a busy day checking out all the best sights in Bangkok, you’ll feel pampered head to toe as you enjoy a stylish, memorable, and comfortable experience. Once you’ve had your beauty sleep, go out and shop at the beautiful malls, and don’t forget to stop by the Emporium, a luxury shopping mall located in the Khlong Toei district. 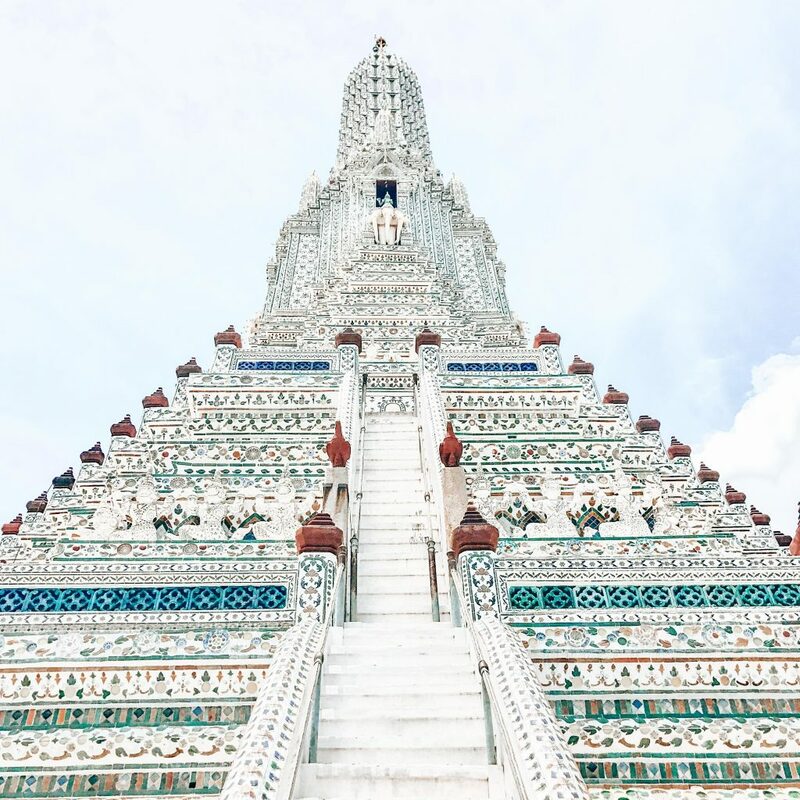 But if shopping isn’t your thing, then check out some of the other top attractions that make Bangkok so unique, like the Buddhist Temple of Dawn (Wat Arun), with its gleaming tower rising to meet the sky, or the EmQuartier, a man-made cascade 40 meters high that lets you enjoy the road and the mist of this awe-inspiring waterfall. The Shangri-La’s motto is behind every smile legendary service awaits, which is what you’ll get, plus the elegant comfort of the suites, particularly the Deluxe Balcony room which has either a river or city view and is decorated with Thai themes like silk and teak finishing. fitness center, which also offers a range of classes. The CHI Spa at Shangri-La offers one of the largest private spa suites in the city, which is ideal because as long as you’re in Asia, you might as well select from a variety of ancient healing treatments to completely restore your mind, body, and soul. The Shangri-La Hotel offers an international range of culinary delights at one of their many restaurants. 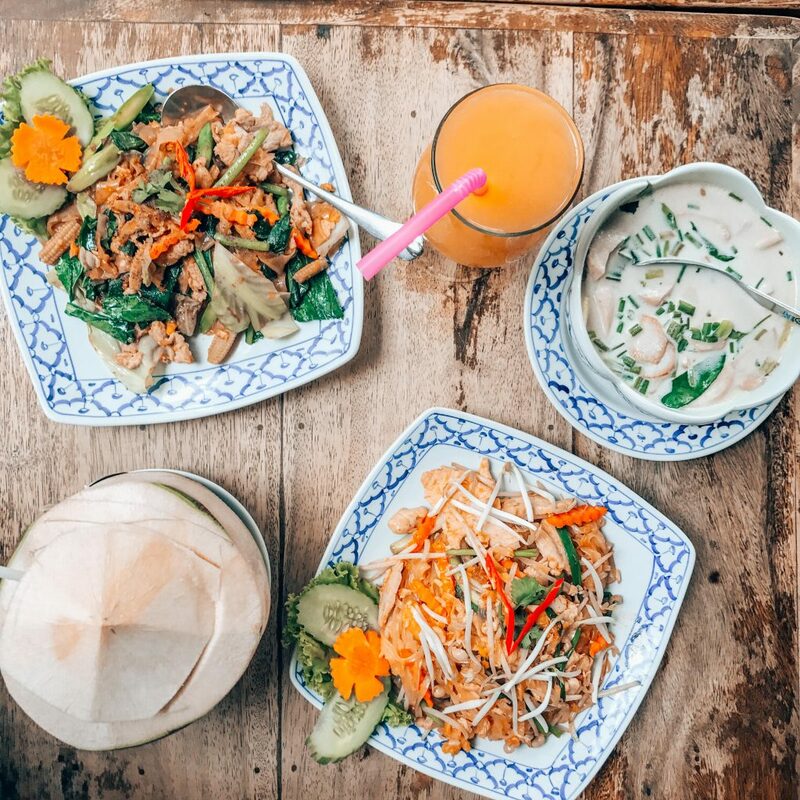 You can either enjoy traditional Thai food, or go for a wider variety in the international buffet on board the Horizon Cruise, the hotel’s private river cruise ship. You can also go for some authentic Italian food at the Volti Ristorante & Bar. You can also step out right outside the hotel and have access to pretty much every cuisine your heart desires. One of our favorite activities is taking the private cruise to Asiatique Night Market. Here you can get your fill of shopping, carnival rides, and food. The private boat is offered for free to all guests of Shangri-La. There are so many reasons why we love Shangri-La hotels, and the one in Bangkok is allows for the perfect combination of relaxation and activity. AMENITIES: WIFI, spa, rooms, pool and gym access, mini bar.